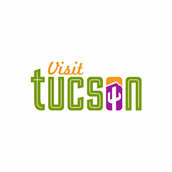 Tucson (pronounced TOO-sawn) is the second-largest city in the state of Arizona, in the United States of America. and the Greater Tucson Metropolitan Area population was 980,263, making it the 52nd biggest metropolitan area in the country. The bus station in downtown Tucson doesn’t just share a name with Rock and Roll Hall-of-Famer Linda Ronstadt, it was actually named after her family. The Tucson Rodeo Parade is the largest non-motorized parade in the world. The Pima Air and Space Museum in Tucson, is the largest privately funded, non-governmental aerospace museum in the world. El Charro Café was called one of the America’s 21 Most Legendary Restaurants by “Gourmet Magazine” in 2008 and founder Tia Monica Flin is said to have accidentally invented the chimichanga. .
Tucson is surrounded by the world's largest concentration of Saguaro cactus.